Specially designed for Asian participants, this event will prepare delegates for 3WCWS and help build partnerships across Asia. The themes of the conference will focus on specific Asian issues, with the goal of forming strategies to end the endemic problem of violence against women and children. The event will provide a platform to build new alliances between shelter practitioners, NGO leaders, politicians and the business community. The event will include a practical workshop on “Reflecting on and Honoring Shelter Work” and high-level discussions on “Empowering Women: Economy, Society and Human Rights” and “Focus on Marginalized Groups: Migrants and Migrant Women”. Please register your interest to attend here. The conference is free of charge, but there are a limited number of places available, so we cannot guarantee that everyone who registers will be able to attend. 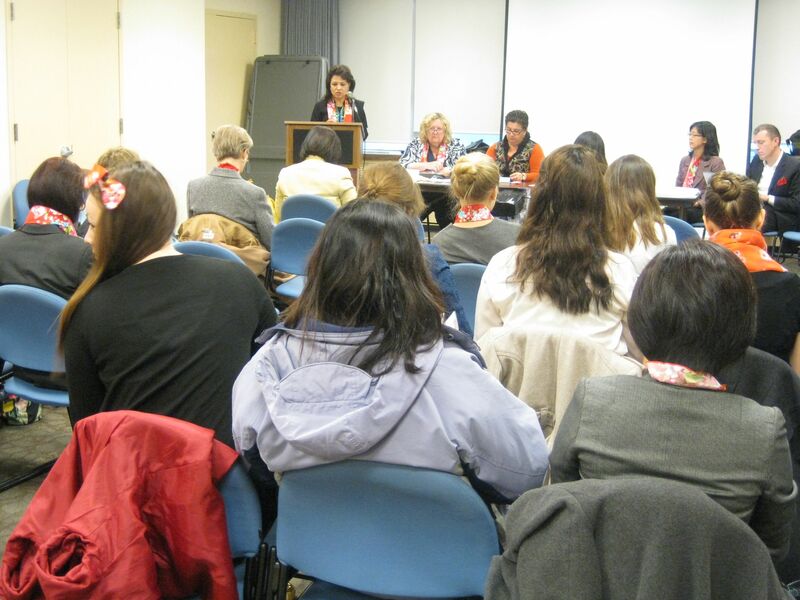 (The Hague, 10 December 2014 – Human rights day) Having held conferences in Canada and the United States, The Global Network of Women’s Shelters (GNWS) has asked the Netherlands to organise the 3rd World Conference of Women’s Shelters in 2015. Women’s Shelters the Netherlands, the Dutch government and the municipality of The Hague have taken up this invitation with much enthusiasm. From 3 to 6 November 2015, the world conference will take place in the World Forum in The Hague. Violence against women and girls may well form the most substantial and permanent breach of human rights of our times. Worldwide, 1 in 3 women will become victims of violence. The uneven power relationship and economic inequality between men and women are usually the root cause. “The aim of the Global Network of Women’s Shelters is to create a world where women and their children are free from violence and discrimination and are able not only to gain knowledge but also have the freedom to use that knowledge to shape their own lives”, says Bandana Rana, chair of the Global Network of Women’s Shelters. With its world conference, the GNWS would like to strengthen its existing network of women’s shelters and connect with other NGOs, governments and industry. Industry, in particular, forms an important link in the fight against violence. Employers can offer women from shelters a ‘safe’ place to work and strengthen the economic position of these women so that a relapse is avoided. The Global Network of Women’s Shelters (GNWS) is a global voice for survivors and the shelters that serve them. GNWS was founded in 2009 to unite and strengthen the women’s shelter movement globally in terms of bringing an end to violence against women and their children. GNWS is an active global network, united by a shared vision for an equal world where women and children live free from violence. We work to ensure global awareness of violence against women and children; support and strengthen the women’s shelter movement; promote effective policies and their implementation in order to prevent violence and protect and empower women and children; and promote social change that ends violence and oppression against women and children. GNWS encourages membership applications from shelters and other organisations working to create safe spaces for women, such as women’s shelters, refuges, safe homes, transition homes, and anti-violence centres. All member organisations must adhere to GNWS’ guiding principles, vision, and purpose. 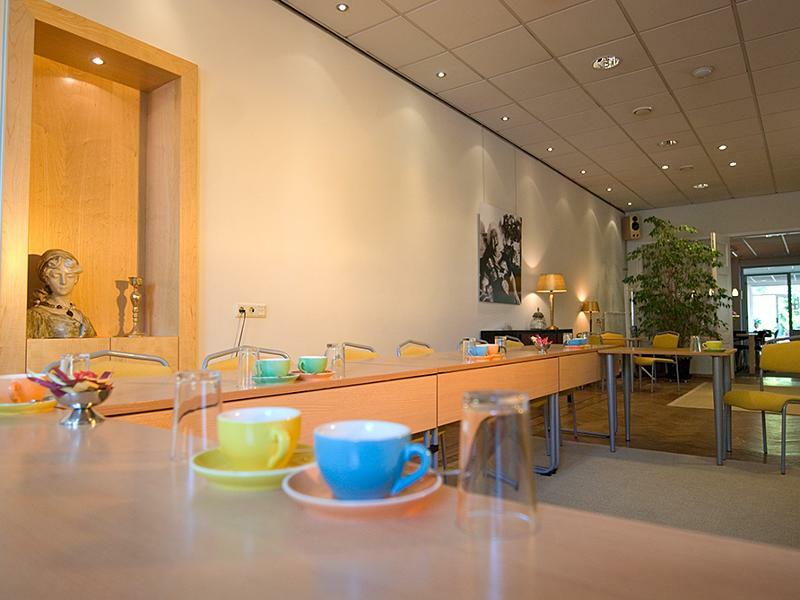 Federatie Opvang is the umbrella organisation of the shelters in the Netherlands, fulfilling a leading role in providing lobbying and advocacy on behalf of its members. Federatie Opvang and its members have extensive expertise regarding violence against women, domestic violence, honour related violence, trafficking in human beings, and violence in dependency relationships. The review of the Beijing Platform for Action 20 years after it was passed in 1995 is a huge opportunity for us to highlight what has been achieved in the last two decades and examine the remaining challenges to attaining full gender equality. Legislation to protect women against violence and proper funding for shelters were both part of the Beijing Platform for Action. In the last 20 years many Asian countries have made great progress by passing legislation on domestic violence and providing funding for shelters. But, according to the results of a recent survey conducted by the Asian Network of Women’s Shelters, law reform and proper implementation of the law is still needed, and governments must spend more money to help shelters provide the necessary support to help survivors of violence rebuild their lives. The Beijing Platform for Action calls for reform of gender-insensitive laws and proper enforcement of existing laws related to violence against women (paragraphs 118, 121, 124(g)). In the last 20 years, many Asian countries have passed legislation to protect victims of domestic violence such as the Domestic Violence Act in Nepal and the Protection of Women Against Domestic Violence Act in India. Despite these positive steps, there are still major problems with both the content and the implementation of these laws. An ANWS survey of nine Asian countries/areas conducted in 2013 found that although all nine countries/areas have a specific law to combat domestic violence, in eight cases the law is not properly implemented and/or needs to be reformed. ANWS calls on governments to reform existing laws on domestic violence which do not properly protect women and girls; and strengthen law enforcement and application to achieve dignity and justice for women and girls who are subjected to domestic violence. 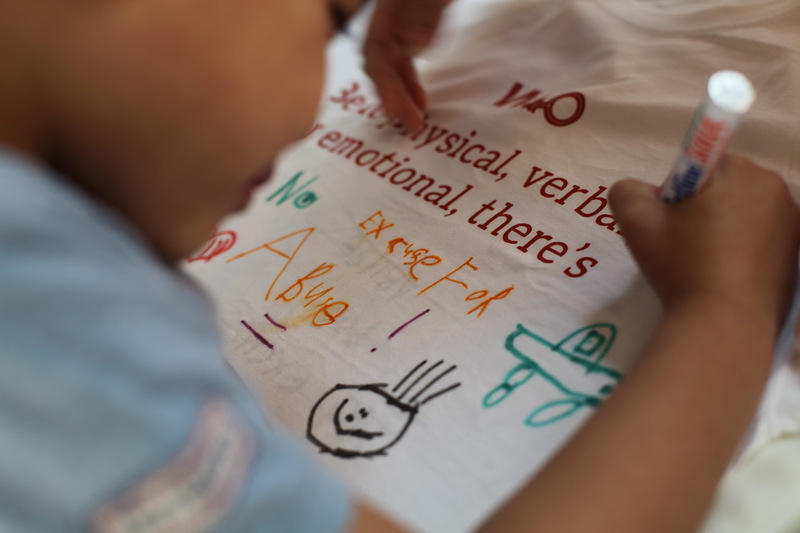 The Beijing Platform for Action calls for “well-funded shelters and relief support for girls and women subjected to violence”, which includes medical, psychological and other counselling services, legal aid, and other welfare support (paragraph 125(a)). Despite this demand, funding for shelter services in Asia is woefully inadequate. Only three out of the nine countries/areas in our survey reported that government funding for shelters was “significant”. ANWS members in four countries reported insufficient or minimal funding, and two countries reported no government funding whatsoever. Even in the three countries/areas which enjoy significant government funding, two put high operation costs and financial pressure at the top of their list of challenges. Another problem is the fact that government funding for shelters is often granted on a project-by-project basis, so when the project ends, the funding stops and the shelter closes. ANWS calls on governments to fulfill their responsibility to provide sufficient and sustainable funding for shelters and other relief support mechanisms for women and girls who are survivors of violence. 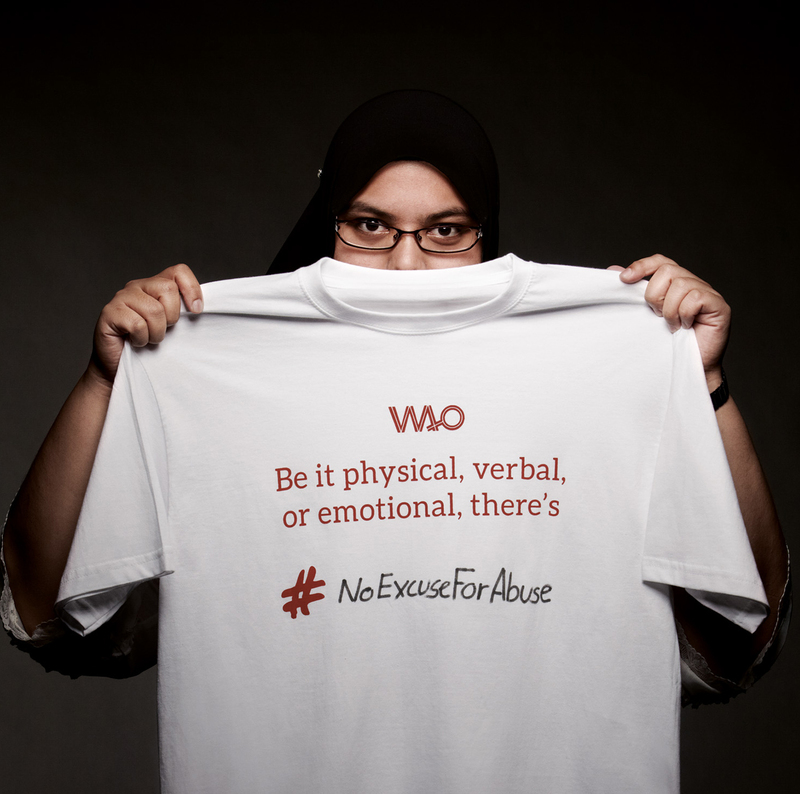 WOMEN’S Aid Organisation, Malaysia (http://www.wao.org.my/) launched a nationwide public education programme called #NoExcuseForAbuse to raise awareness on domestic violence in March. Through this campaign, they targeted the earlier phase of domestic abuse before it snowballs. Especially, they were reaching out to those who are in doubt, who are questioning whether things are going right in their relationships. There were four parts to the campaign, including an installation art exhibition, pledge of support, SMS helpline and radio public service announcements. 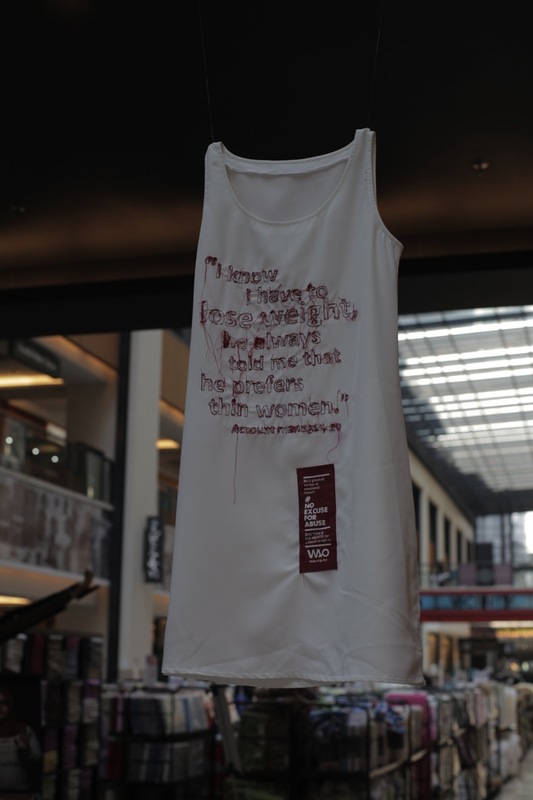 They also launched an SMS helpline called TINA (Think I Need Aid) and details were included on each of the blouses. TINA was created to reach out to victims of abuse who may not want to make phone calls and feel more comfortable sending a text message as there was more anonymity. 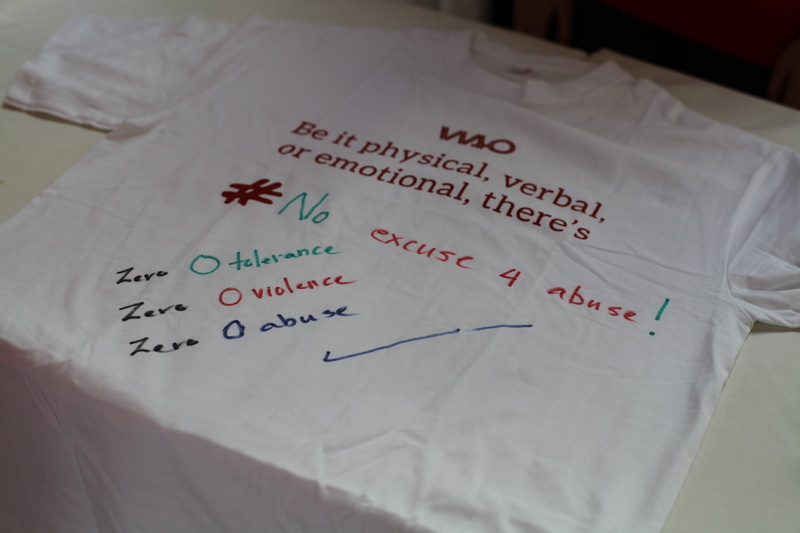 During the event, #NoExcuseForAbuse T-shirts were given out to the public. The Asian Network of Women’s Shelters and the Oceania Network of Women’s Shelters held a forum at the United Nation’s Commission on the Status of Women (CSW) on the topic of “Asia-Pacific Shelters: Going the Second Mile with Advocacy and Service Work” early in the morning on Monday, March 10, 2014. The speakers were Bandana Rana, President of Saathi, Nepal and Chair of the Global Network of Women’s Shelters; Anthony Carlisle, International Affairs Supervisor at the Garden of Hope Foundation, Taiwan (which is the secretariat of ANWS); Kristen Liu, Executive Director of Garden of Hope New York; Alena Victor, Assistant Director of Shelters at the New York Asian Women’s Center; Margaret Augerinos, CEO, Centre for Non-Violence, Australia; Julie Oberin, CEO of the Annie North Women’s Refuge, Australia; and Ivy Josiah, Executive Director, Women’s Aid Organisation, Malaysia. The meeting was moderated by Chi Hui-Jung, CEO of the Garden of Hope Foundation, Taiwan and chair of ANWS. The Asia-Pacific is the most diverse region in the world. Differences in shelter services are as wide as the cultural and economic divides. Some countries do not have the legal framework to protect women from domestic violence (DV) let alone the welfare structure to provide sufficient shelter support; while other countries are working on better shelter management and follow-up services. 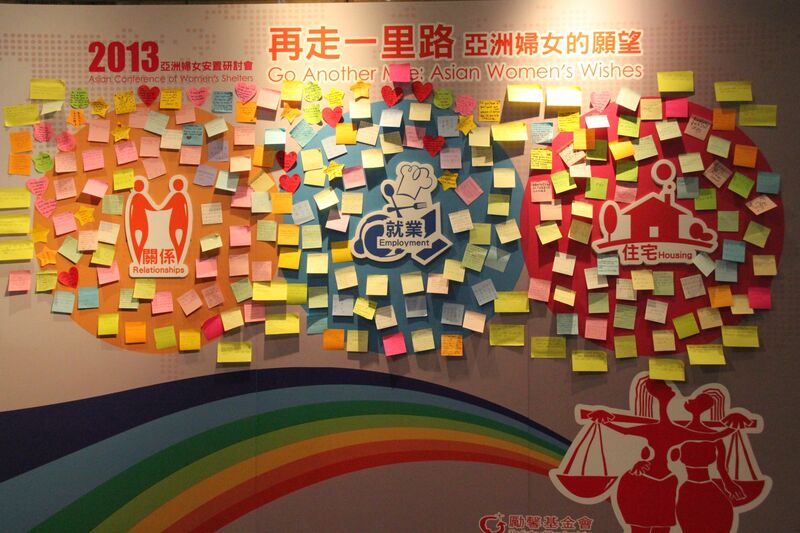 Almost 200 hundred delegates participated in the 2013 Asian Conference of Women’s Shelters organized in Kaohsiung from December 2 – 3, 2013, where the establishment of the Asian Network of Women’s Shelters was announced. The overseas delegates were from 11 countries (including Japan, Singapore, Nepal, Malaysia, Bangladesh, Cambodia, India, etc.) 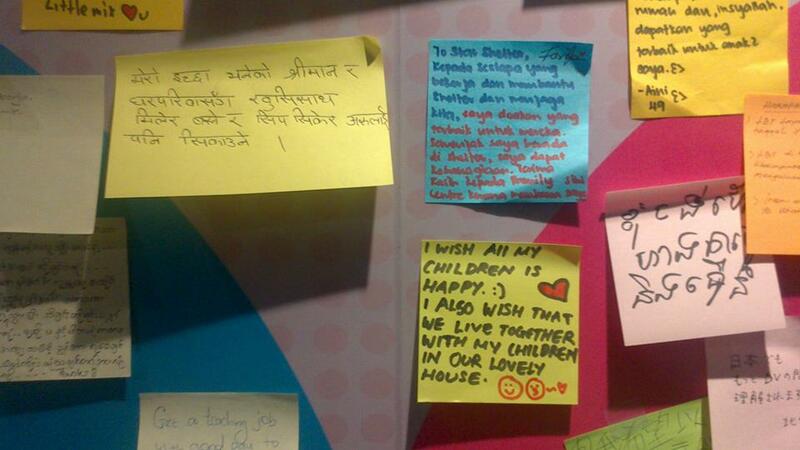 The Garden of Hope Foundation hosted the 2013 Asian Conference of Women’s Shelters. In addition to discussing the situation of shelters (in terms of advocacy, services, policies etc. ), different needs of battered women in the process of their life reconstruction was discussed.